Beat the Atlanta heat at Buccaneer Cove locate in Malibu Norcross! 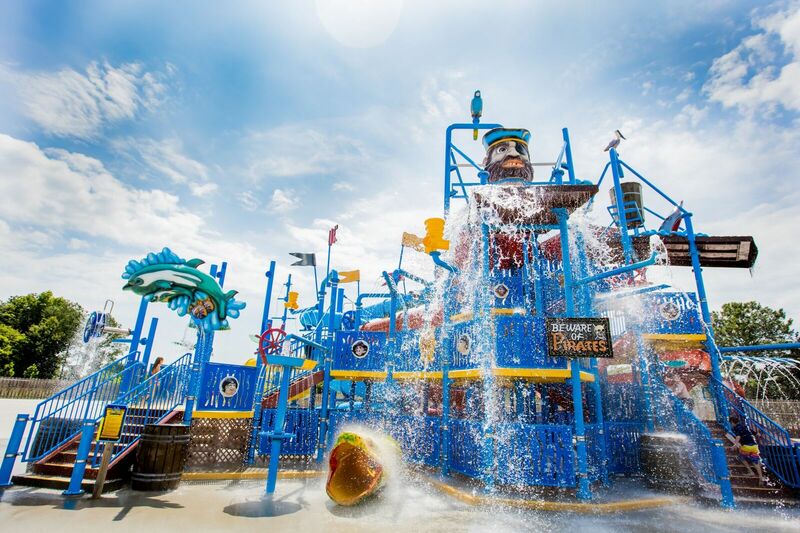 Featuring four water slides, a giant splash bucket, and spray cannons, Buccaneer Cove is the place to be during the summer! You are bound to hear laughter, music, and squeels coming from the newest attraction, Buccaneer Cove, at Malibu Norcross. Beat the Atlanta heat by sliding down water slides, shooting a spray cannon at your friends, or just lounging in a cabana. Malibu Norcross offers affordable fun for the entire family! Buccaneer Cove is now closed Monday - Friday. Add-on Buccaneer Cove to a Champ Pass for only $5.00 per person! Proper attire are shirts that are tight, non-cotton, form fitting to the body rash guard or sun protecting shirt cut top with an appropriate bathing suit bottom. Regular bathing suits are suitable as well. Grommets, rivets, buckles, belts, or metal ornamentation are not permitted. Water shoes can be worn in the Buccaneer Cove area, but are not allowed on any of the water slide. NO GYM SHORTS allowed on water slides. Must be at least 36” in height to slide. Children less than 36” may use the kiddy multilane slide, when supervised by a responsible adult 18 years or older. Rider weight must not exceed 295 lbs.